Innovation and industry firsts are at the centre of the ongoing success at London Underground’s Victoria Station Upgrade (VSU) as the team redeveloping the station has performed the first, large-scale jet grouting tunnel construction in the UK. 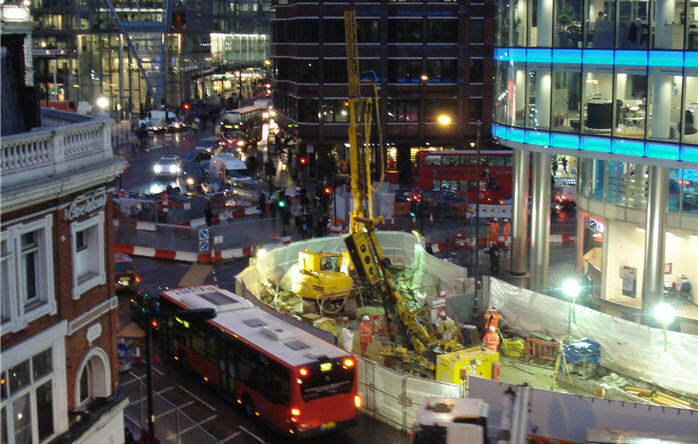 Principal contractor Taylor Woodrow BAM Nuttall (TWBN), the designer Mott MacDonald, and specialist contractor Keller, have installed 2,000 interlocking jet columns to enable safe tunnelling in the challenging ground conditions of water-bearing find sands overlaying London clay. The team faced many challenges whilst completing the 24 phase construction programme. A common challenge was ensuring that the pedestrians and vehicles were able to travel safely throughout the area during the 34 month period onsite. Existing infrastructure, including sewers, water mains and London Underground (LU) tunnels, posed further obstacles for the team to work around. These challenges dictated that the tunnels were constructed at shallow depths, with an axis approximately 10m below ground surface and clearances of less than 100mm from essential LU assets in places. “These works were a piece of genuine construction engineering innovation. This is a real achievement for the Taylor Woodrow BAM Nuttall and Keller teams, and they should be very proud. We have never used the prescribed techniques in combination on the London Underground estate before. Jet grouting is a construction process which improves the quality of the ground by using a kinetic energy jet. The jet mixes the in-situ soil with a cementitious material to create an homogenous ‘soilcrete’ column which reduces permeability and strengthens the ground.